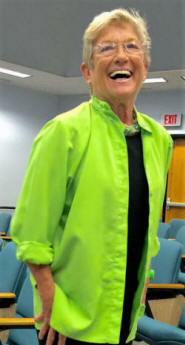 National award-winning storyteller Pat Nease is known for her high energy, quick wit and wry humor. With over twenty years of entertaining audiences, she has developed an impressive repertoire’ as a teller, an emcee, and a workshop leader. 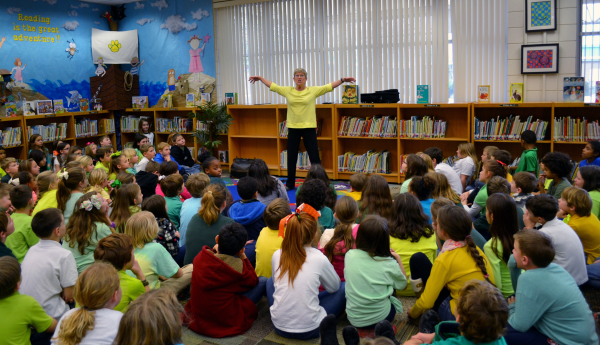 Known for her outrageous lies and original stories, Pat has enjoyed telling to children and adults at libraries, schools, concerts, campfires, churches, festivals, parties, senior centers, club meetings, coffeehouses, state parks, trains, planes, and automobiles. If you’re looking for something fun and out of the ordinary, contact Pat Nease!